You can take the girl out of Tucson, but you can't take the Tucson out of the girl. Sometimes, you just get a hankering for the good food of your childhood, and though you may not be hispanic, the latinx food of your upbringing and formative environment sings the siren song to your stomach. 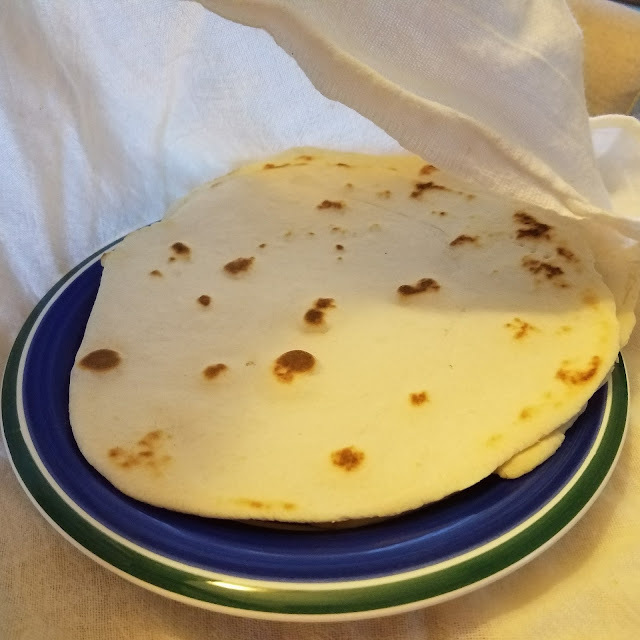 Yeah, yeah, I know, they're just tortillas, but once you've had a good tortilla, you'll understand. Here's how! Dump the flour, baking soda, and lard onto a cool marble surface. Cut the lard in using two butter knives. You can also put this in the bowl of a standing mixer with a dough hook attachment, but this is the way I learned how to do it, so I prefer it by hand. If doing this on a cool surface, make a well in the middle of the flour mixture and pour in the water. 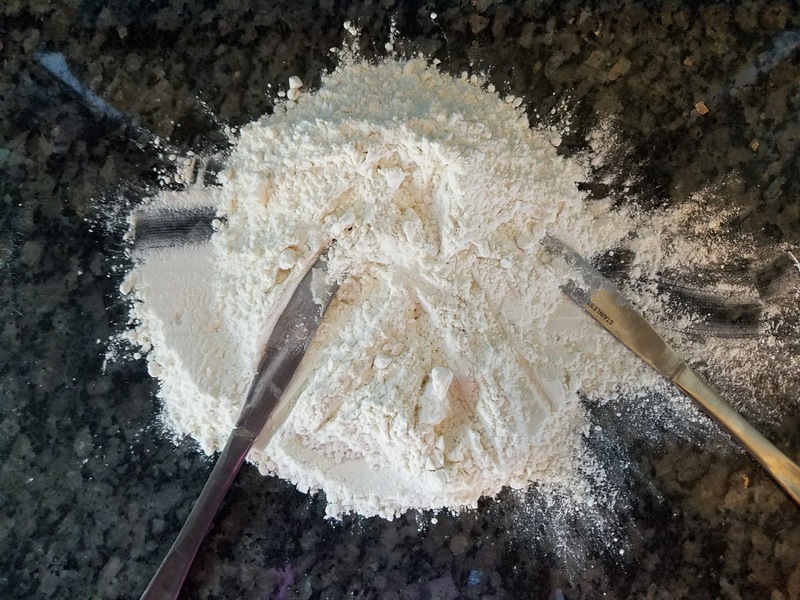 Using a dough scraper(or your hands, if you like), pull the flour over the water, over and over again until everything is combined. Knead the dough until it's very smooth and elastic, about five minutes. You could save yourself the arm strain and do it in the standing mixer, but I like getting the workout in. Once the dough is pulled together and feels quite tight, cover it loosely with plastic wrap and let it hang out on the counter for about 10 minutes to rest. This lets the glutens relax a bit so they're easier to work with and roll. After that time is up, divide the dough into eight equal portions and begin to roll. Cover the little dough balls with that same sheet of plastic wrap to keep them from drying out while you roll. 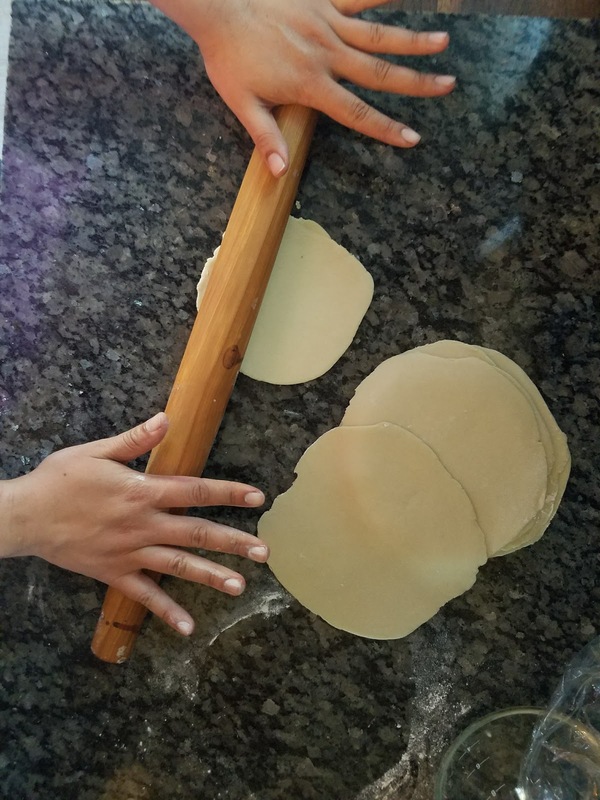 I roll my dough out flat into discs using a rolling pin, then stretching them by hand just a little as they relax. I keep track of which discs I have rolled first, and then go back over the sequence once or twice, to get them super-thin. At this point, I like to dust mine with just a little bit of flour, and then let them hang out for a few minutes while I get my griddle ready. You might also want to think about any meat or veggies you're prepping for the meal that's actually going with these puppies, as - in a perfect world - you'll want to eat your freshly-cooked tortillas with your freshly-cooked meal... My point is: timing. Timing is everything. Get a thick-bottomed skillet or griddle nice and hot on the stove. 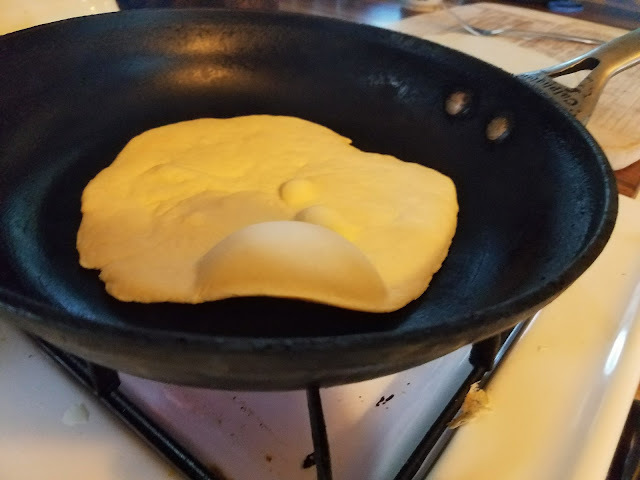 I prefer a fairly high heat for my tortillas, to do them quickly, but if you'd like to do a medium heat, just until you're confident, then that's fine, as well. All that must be done is to cook them until they bubble up and get golden, then flip over. If you have an actual tortilla warmer, then dear Gods, use it. If you don't, simply get a ceramic plate and clean tea towel to keep them nicely wrapped until it's time for dinner. The tortillas will keep for at least a week, but I promise you that they won't last that long. 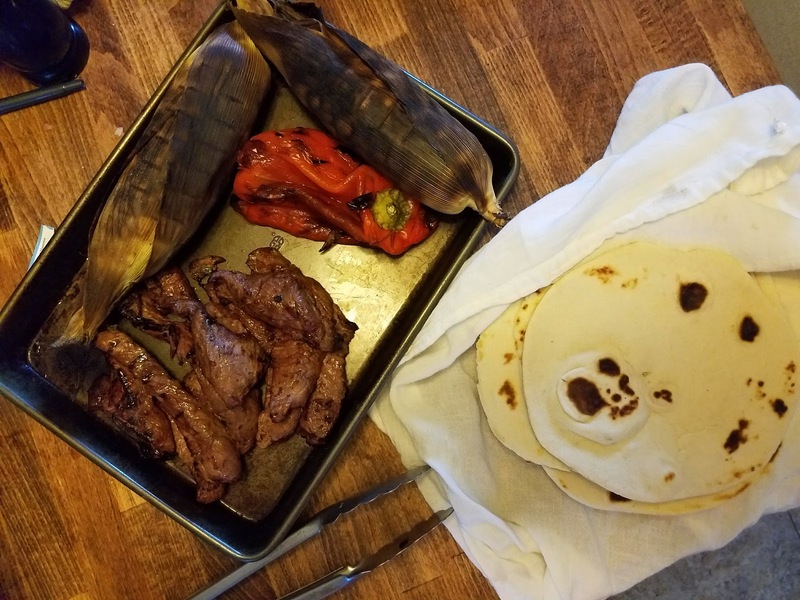 I love fresh tortillas with carne asada. You can also have them around to make quesadillas, cheese crisps...whatever! If you have avocados, make some guacamole... Or just eat them as simple tacos with some grilled meat, peppers, and corn. Few things in life are as lovely as a warm tortilla, so I highly recommend you trying these. 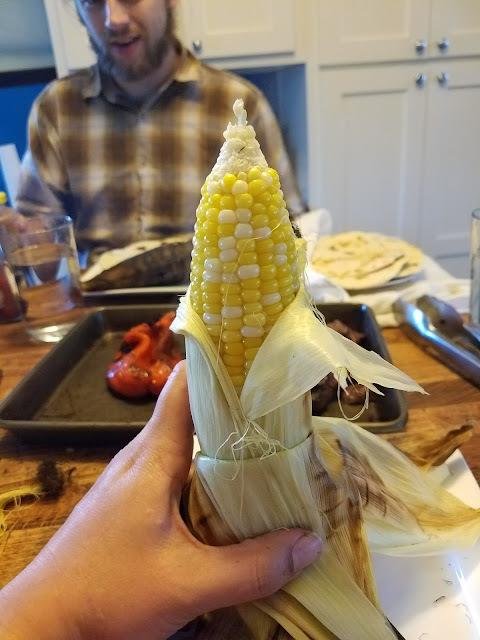 Also: please grill corn inside its shuck. Not only is it the easiest cleanup ever, but it steams and grills at the same time! If you really want a southwestern flavor profile, squeeze lime juice, cotija cheese, and mayo over your corn before eating. I know the mayo part sounds weird, but don't knock it til you try it.